Sleep secure knowing your family, home and business are all protected by Ultra Shutters security blinds! Fact: Glass windows and doors are the most vulnerable security weakness in any home or business. Glass is no match for a hammer or baseball bat; an intruder will use one to smash your windows and enter your premises, invade your privacy and put your family’s safety at risk. There are many security measures you can put into place, like installing steel bars, or even a monitored alarm system. Yet there is simply no security product on the market that provides the same levels of safety, comfort and value as Ultra Shutters security blinds. If you’re like most of our satisfied customers, you have earned the right to have peace of mind. Peace of mind that your family is safe, that your assets are protected from all dangers, both man-made and naturally occurring. However, you don’t want this peace of mind to cost the earth, nor do you want to be manipulated by your fears into purchasing a product that does not fully serve your purposes. If this describes you, then please keep reading. Below are 9 significant reasons why Ultra Shutters security blinds are the ultimate investment in creating a safer, more comfortable and valuable home or business for you. Security – Ultra Shutters are criminal proof! Ultra Shutters completely cover your windows so that intruders cannot enter your home by smashing the glass in your windows. Most crimes of theft and home invasion arise out of opportunity; a home protected by Ultra Shutters security blinds will stop the opportunist thief dead in their tracks! 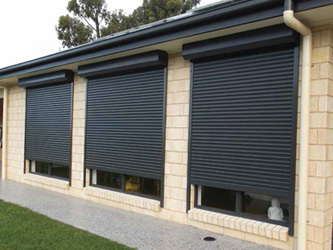 Fire-Safe – Ultra Shutters can save both your house and your life in a deadly bushfire! Ultra Shutters shield the glass from shattering in extreme heat, creating a sealed environment so that your family is protected from deadly smoke inhalation. Insulation = 84% Heat Transfer Reduction! – Ultra Shutters aluminium slats are filled with high quality foam that insulates your windows, keeping your home warmer in winter and cooler in summer. Ultra Shutters will save you hundreds of dollars off your gas and electricity bills every year. Strength – Ultra Shutters are engineered to withstand all sorts of attack. They are strong enough to withstand a criminal with a baseball bat. Your windows are even protected from flying debris in a wild storm! Light Control – Ultra Shutters let you control the amount of light you let into your home during the day. More effective than black out curtains, Ultra Shutters are a shift worker’s best friend! Quiet – Ultra Shutters reduce outside noise entering your home through your windows by as much as 63%. Sound reduction can be up to 35 decibels, providing peace and quiet to homes on a busy road or in a noisy neighbourhood. 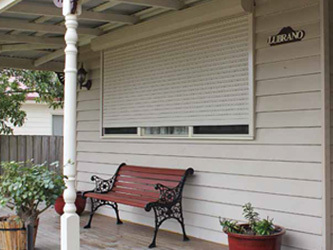 Value – Ultra Shutters are a definite asset to your home. They save you hundreds of dollars off your heating and cooling bills, and increase the value of your home, often by tens of thousands of dollars. Five-Year Warranty – We are so confident in our security products that we offer a five-year warranty on every Ultra Shutters we sell. This warranty includes mechanical parts and workmanship. Family-Owned Local Company – We are a local family-owned and operated Gippsland company with 42 combined years of experience. We have built our reputation on great service and quality products. View our new promo ad below!